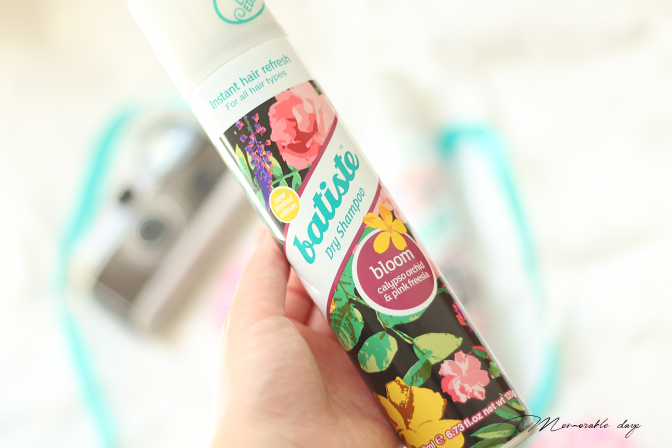 Review: Batiste Dry Shampoo Summer Limited Edition 2016 | Memorable Days : Beauty Blog - Korean Beauty, European, American Product Reviews. 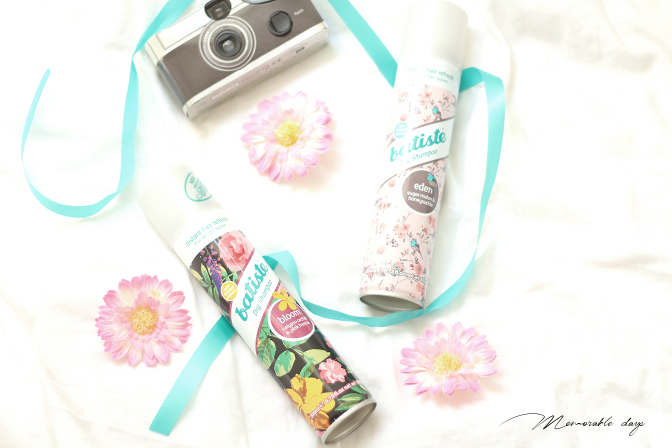 Batiste, the brand which is famous because of their dry shampoos released their limited editions for this Summer! They are called Bloom & Eden. The packaging is very colorful, which is great for the Summer. 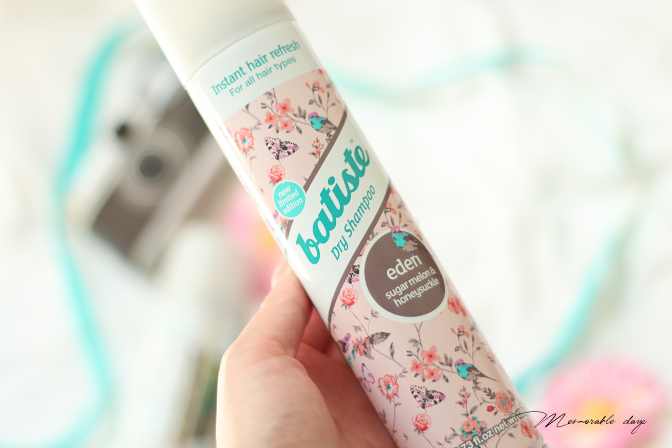 Batiste has always been one of my favourite brands for dry shampoos. I have been testing these two out and I will share my thoughts about them today. Bloom has a floral packaging with a black background, it has an exotic scent of calypso orchid and pink freesia. It's pretty sweet, it's fresh and I think it smells a bit like fresh deodorant lol. The scent stays the whole day in my hair. Eden has a pink packaging with pink flowers, birds and butterflies. It has a scent of sugar melon and honeysuckle. It really smells like sugar melon in my opinion, it's sweet like candy. This scent also stays for the whole day in your hair. Shake it very well before you use it. Spray it with around 30 cm distance on the roots of your hair where it's oily. You might see that it's a bit white, but massage the product into the hair and the white product will be gone. Brush, style and voila! Your hair won't be greasy anymore. It only takes 1-2 minutes to do it. In The Netherlands you are able to purchase them at your local Kruidvat stores and Douglas.nl for €4,89 (200ml), in the UK you can purchase them at Boots. You all know that washing your hair every day is bad. Your hair will get greasy faster if you wash it every day. Now, I only wash my hair twice a week. When it turns a bit greasy on the 3rd day, I will use dry shampoo. THANK GOD FOR THIS! 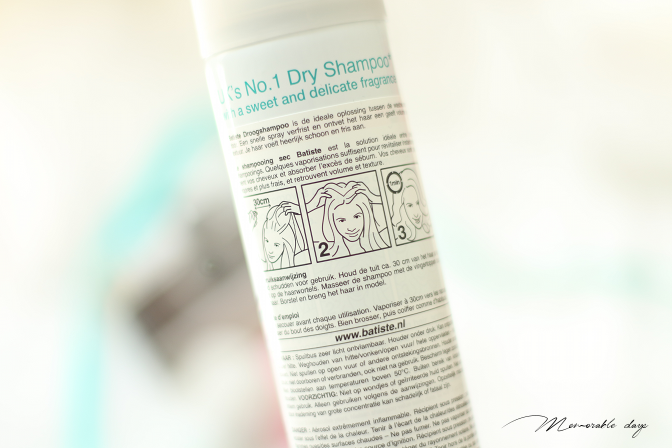 I have been using Batiste dry shampoos for years and I am still loving them! It's so easy to use, it just takes 1-2 minutes and done! The greasy hair will be gone for the rest of the day and my hair smells good too. It also creates more volume in the hair so YAY! The 2 new limited editions are great for Summer. 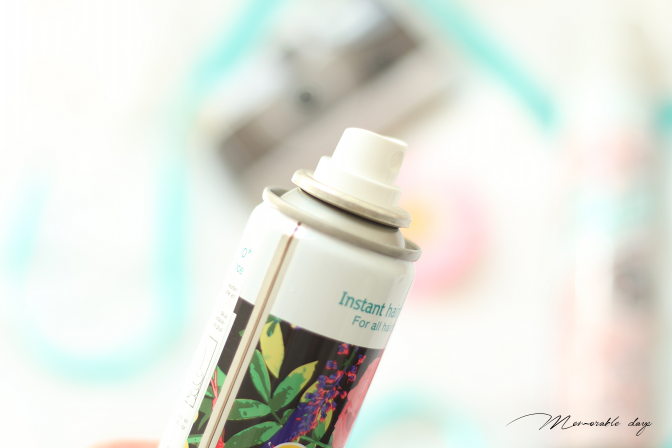 If you love sweet scents, you will love this and your hair will smell lovely. When the temperature in The Netherlands turns hot, my hair gets greasy during the day as well. Luckily they also have a travel size of their dry shampoos so you can easily put one in your bag and spray whenever you want. I highly recommend their dry shampoos! HAVE YOU USED DRY SHAMPOOS BEFORE?